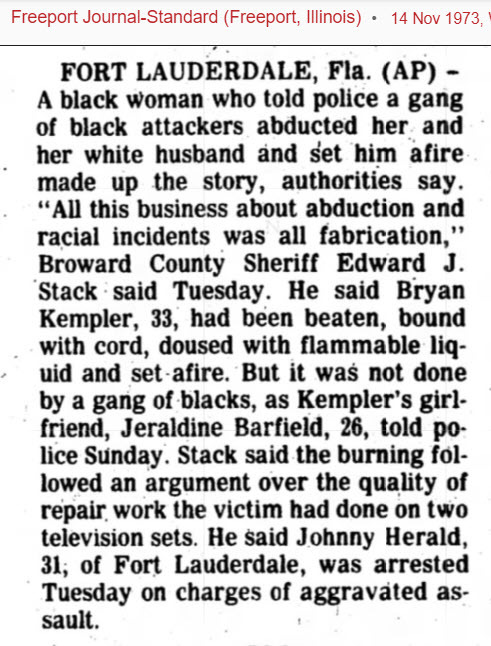 A black woman fabricated story of a gang of black attackers abducted her and her white husband. Two white teens made up story about being burned by black youths. In reality they bought a can of glue and it accidentally exploded when a match got close to it. Middle Eastern woman set fire to herself and her restaurant. She claimed it was a hate crime.